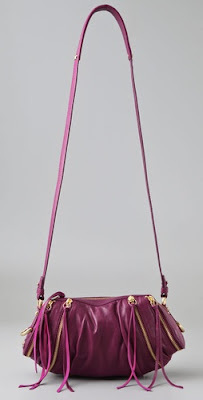 I came across this Botkier cross body/clutch and I was overcome with excitement. This is a smaller version of the Botkier Howard St. Satchel that I wrote about here. I loved the Satchel and I'm loving the cross body as well. This colour is perfect for the warmer months that are ahead of us and the size is perfect for those days or nights when you don't want to carry a large bag but you want something stylish. 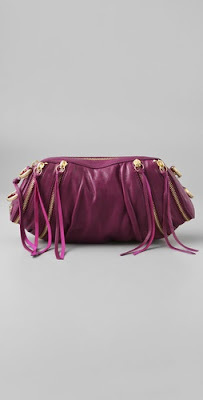 I love the zipper embellishments (remember I said we would be seeing a lot of zippers in the coming months) and I think they add the perfect amount of fun and edge to this bag. Like the shape and the zip details but like Victoire said 295?! a (bit) expensive.